The Department of Humanities in the Cardiff School of Education is a vibrant and growing part of the provision at Cardiff Metropolitan University. It seeks to maintain excellent levels of student satisfaction through an approach that combines a warm, pastoral care with research-informed teaching. Graduates are ‘work’ ready through our emphasis on employability skills and Graduate Attributes that develop through a contemporary and stimulating curriculum that blends theory and practice. This appointment builds on the School’s rich tradition of Drama and Education. The successful post-holder will be responsible for teaching and assessing undergraduate students on the Educational Studies and Drama, and English and Drama degrees. The post-holder will be responsible for delivery of practical and theoretical modules, including Theatre Practitioners, Other Theatres, Educational Observation Placement and undergraduate dissertation supervision. It is essential that the post-holder contributes to the rich extra and co-curricular experience of students. In the field of Drama this will be achieved through a series of productions and performances to augment academic provision. You will serve as a researcher on the AHRC-funded project Multicultural Shakespeare, led by Professor Tony Howard of the Department of English and Comparative Literary Studies. You will conduct independent and collaborative research into the history and practice of Shakespearean performances in the UK by Black and Asian artists, in their social and cultural contexts, from World War II to the present day. You will be involved with liaison activities with British Black and Asian artists and communities. You will conduct research in collections and libraries in the UK and abroad, and will contribute to the creation of an oral history archive. You will be responsible for developing and maintaining the project’s web-based resources and database. You will organise a Symposium and will co-edit a volume of its proceedings. You will have a PhD in an area of theatrical/performing arts research relevant to the focus of the project. Practical theatre experience would be an advantage. You will also possess competency in the construction of web-based resources. The link will take you to register/login to our applicant tracking system before you can complete the application form. You will be given the chance to upload a CV and up to one supporting document during the application process. You can save a partially completed form without submitting it as long as you return to complete it before the closing date. Minicom users can call 024 7615 0554 if they require any further help. Please quote job vacancy reference number 72420-102. The closing date/time for applications is midnight (British time) at the end of Friday 30 November 2012. The School of English wishes to appoint a Lecturer in Shakespeare Studies, from 1 September 2012. The School seeks a scholar and critic with a primary research focus on Shakespeare studies. The successful applicant will have a doctorate, an established research profile in the field, and the capacity to bring dynamic development to the School’s teaching and research on Shakespeare at all levels. S/he will have strong and varied experience in university teaching, and will be able to teach and supervise more broadly in early modern literature and culture. The School does not seek at this time to appoint a drama-in-performance specialist. The appointee will contribute to the School’s undergraduate and postgraduate work by convening and sharing lecture-modules, teaching seminar groups, and supervising MA and PhD students on Shakespeare and related topics. A strong contribution to the research culture of the School will be expected. A record of applications for external research funding, commensurate with the experience of the applicant, will be an advantage, as will the capacity and willingness to network and co-develop collaborative research projects. 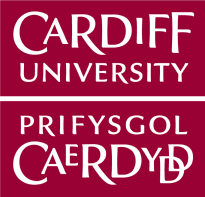 The Cardiff School of English, Communication and Philosophy is seeking to appoint a lecturer in Medieval and Renaissance Literature from 1 September 2011 for a period of twelve months, in order to provide cover for staff who will be on research leave. You will be expected to teach Shakespeare’s Comedies at both undergraduate and MA level, and an undergraduate module in Medieval Literature or Medievalism. Closing date: 5.00pm on Wednesday 6 July 2011. We anticipate holding interviews in the second week of August.